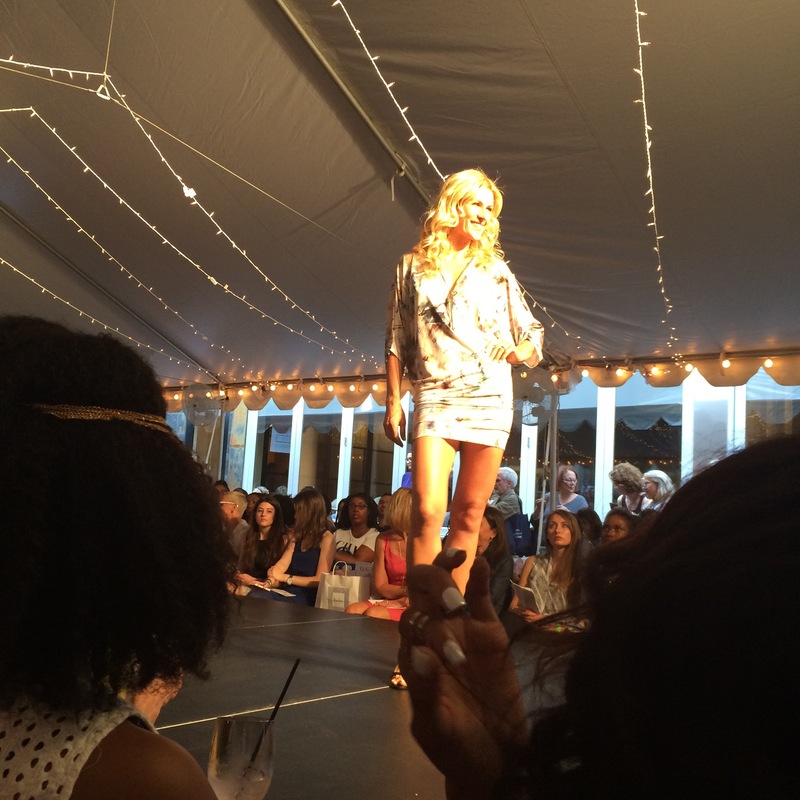 I am always on the lookout for fashion related events in and around the DC area so I could not be more thrilled when I heard about The Front Row fashion show at Bethesda Row. 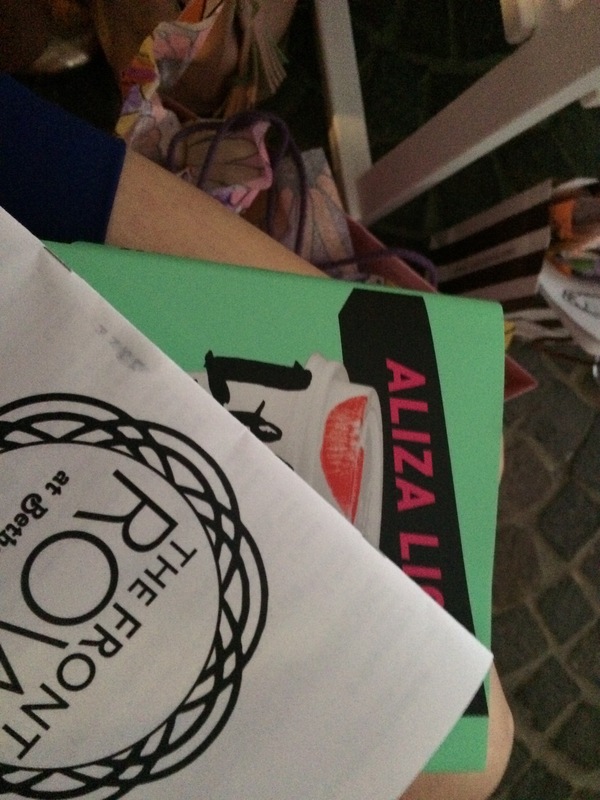 Although a fashion show featuring perfectly wearable pieces by Lilly Pulitzer, Milly, and even Lululemon is enticement enough, I was even more excited by the opportunity to meet Aliza Licht, better known to some as DKNY PR Girl. Not only does she have a successful PR career in fashion, she is also known as a social media maven, and most recently an author. On top of all this, she will even tweet you back! I knew I had to seize the opportunity to meet Aliza when I was no more than halfway through her new book, Leave Your Mark. I admit, I was listening to the book on tape, but I think that made it even better as I was listening Aliza’s own voice dispensing invaluable advice on finding your dream job, advancing your career, and rocking social media – all infused with wit, humor, and a peek behind the curtain into the fashion industry. 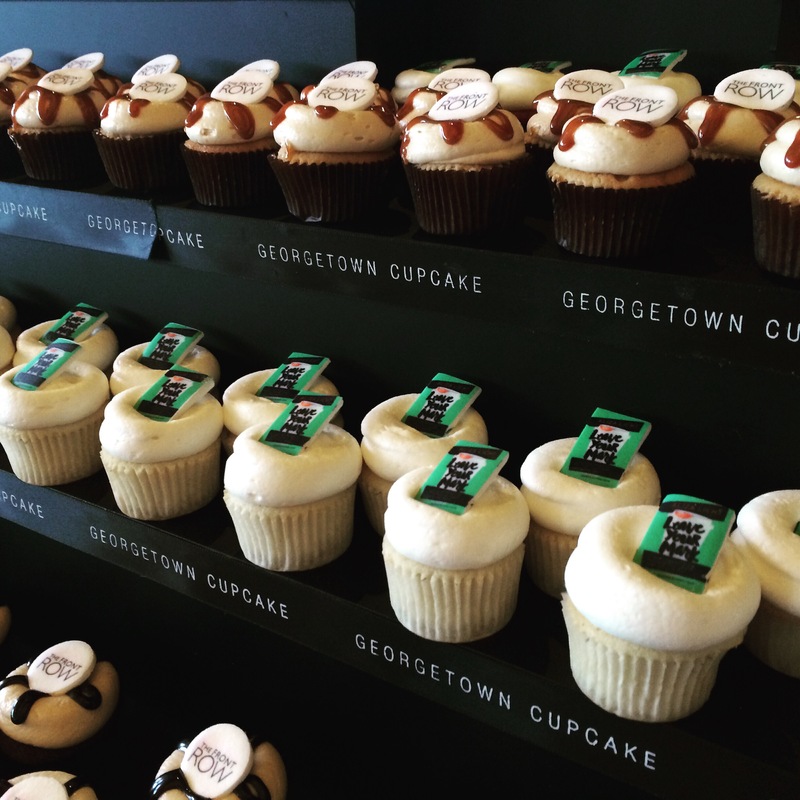 The evening began with a book signing and reception at Redwood Restaurant and Bar in Bethesda where fans had the opportunity to meet Aliza, and snack on these adorable cupcake minis by Georgetown Cupcake. 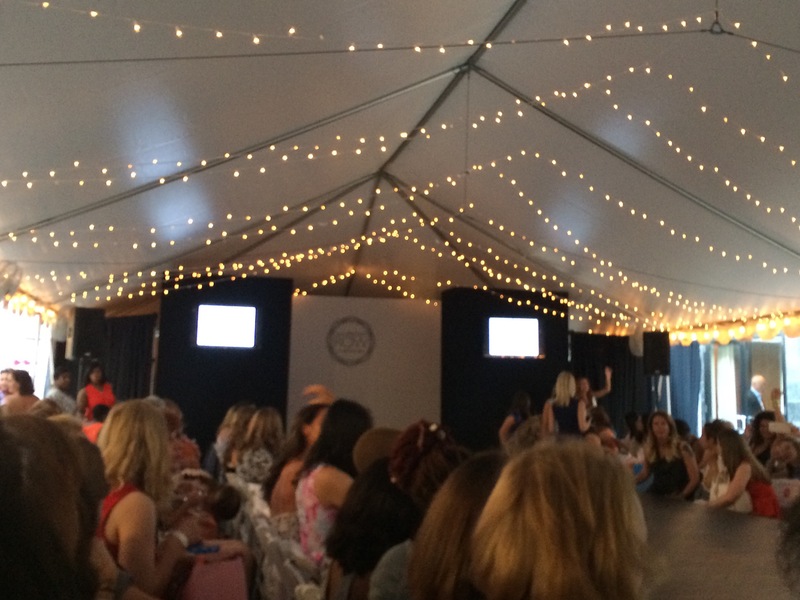 A few minutes before the show was set to begin, guests were asked to make their way to their seats under the tent. 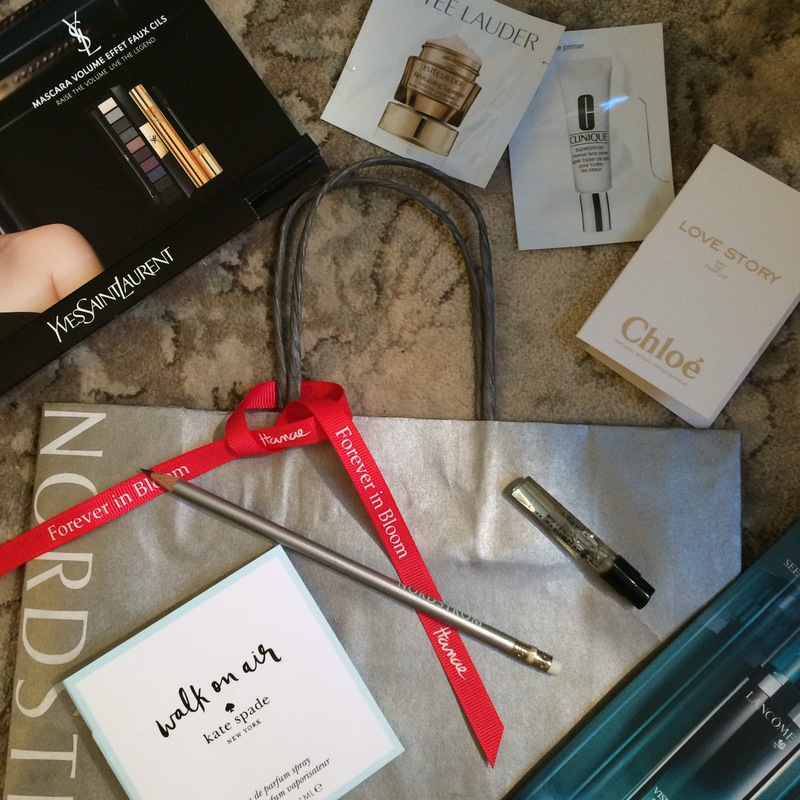 I have to admit I always love a swag bag. 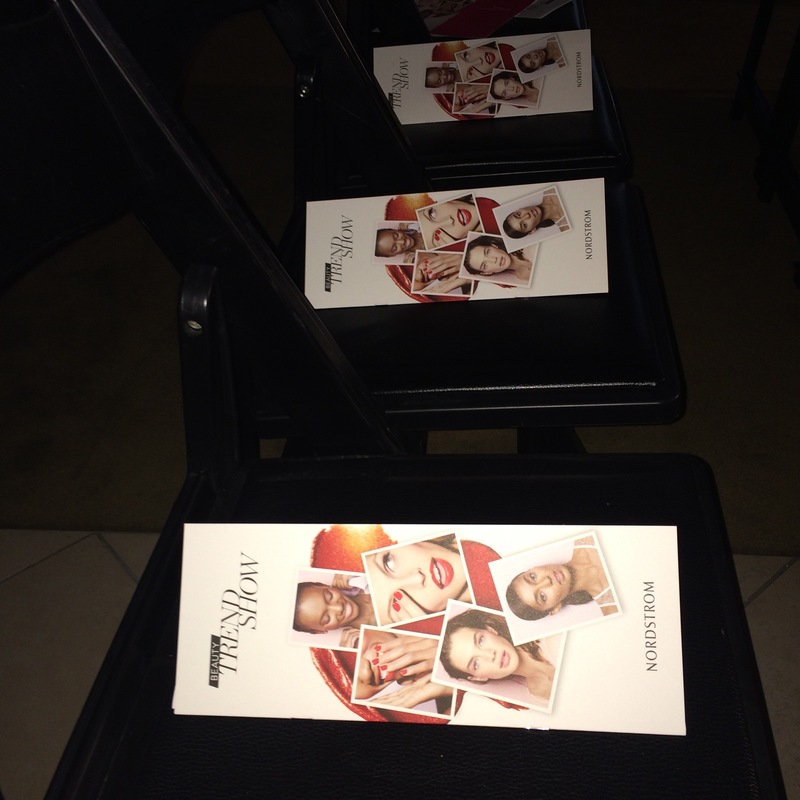 Inside were coupons to almost all of the retailers being featured in the show, gift certificates to local restaurants, perfume samples, a nail file, and custom-named nail and lip colors as a nod to Aliza’s signature red lip and nails. True to form, she wore a bright red dress, which I can only venture to guess was Donna Karan, and had her thick red mane slicked back in a chic low pony, with a bright red lip to finish the look. Almost showtime! Signed book in hand, I settled in the for the show. 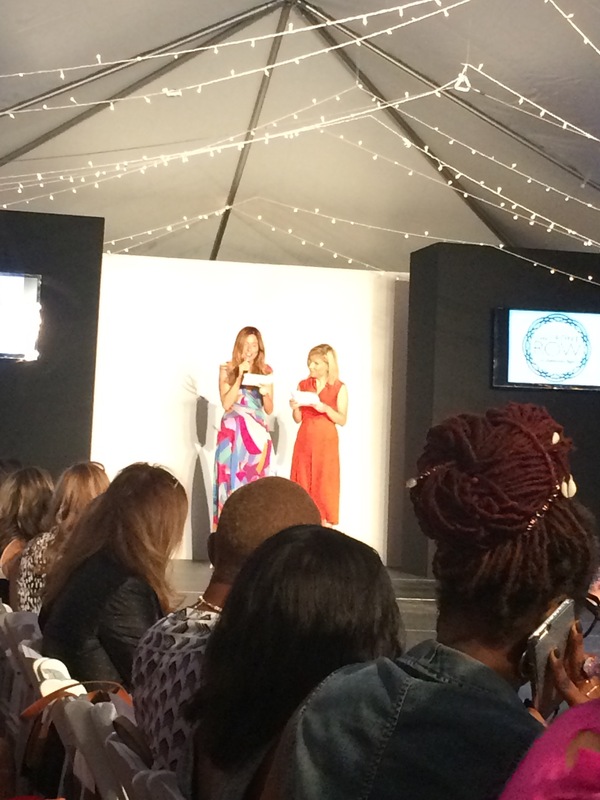 Georgetown Cupcake sisters, Katherine and Sophie, kicked off the show in bold, bright dresses. 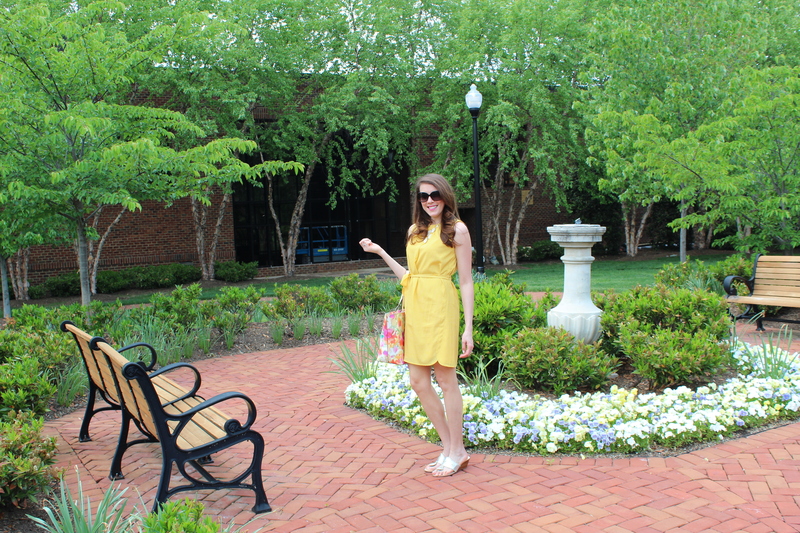 I love the floaty geometric dress on Katherine! 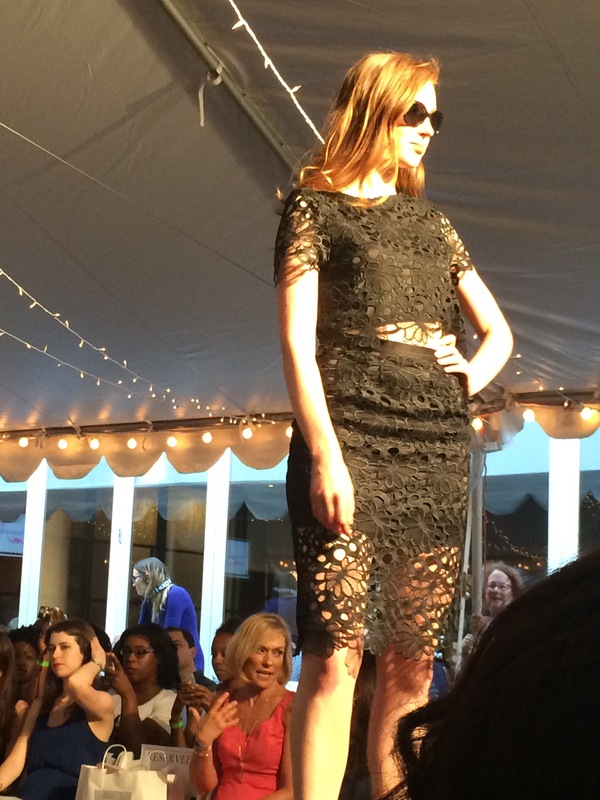 One of the first looks down the runway was this two piece ensemble by Milly, available at Sassanova. 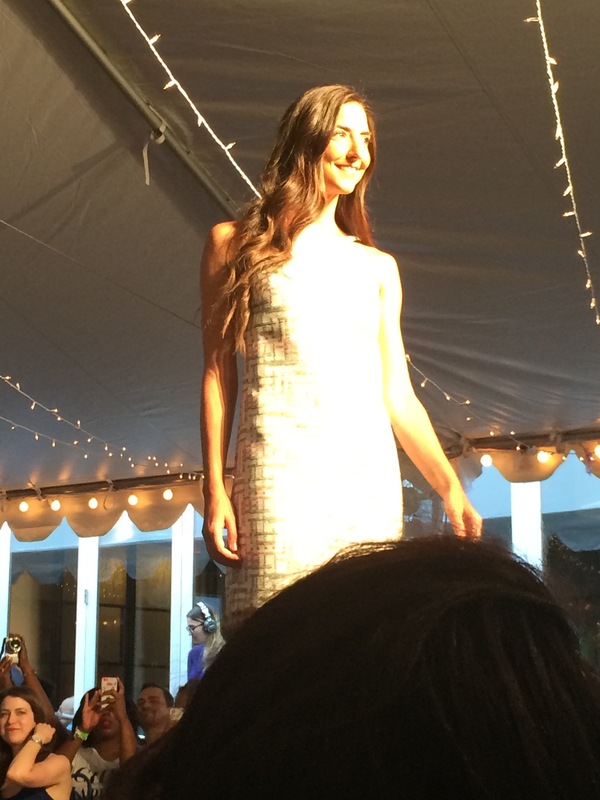 A dress by another boutique shop favorite brand, Trina Turk, made a trip down the runway. 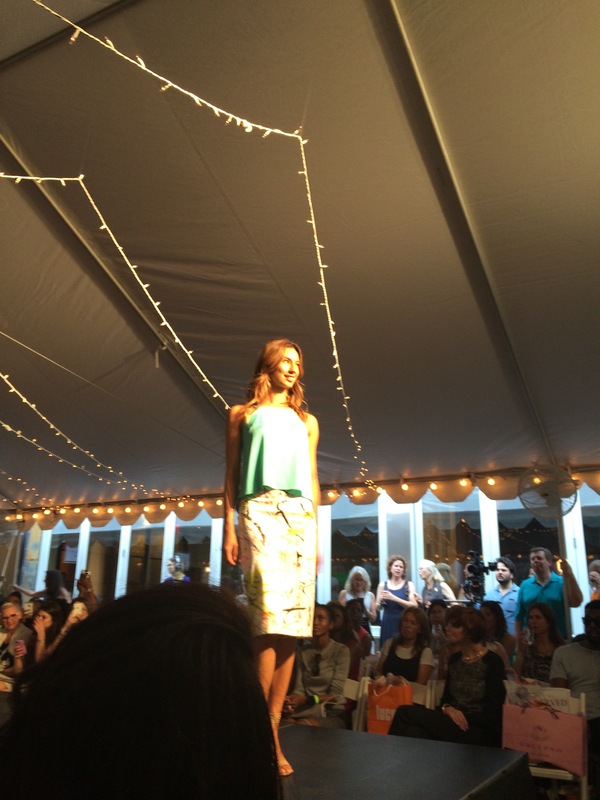 My favorite look of the evening was this classy crop-top ensemble by Yumi Kim. I could just imagine myself stepping off a private jet somewhere on the Riviera in this jetsetter chic look, can’t you? Also available at Sassanova. 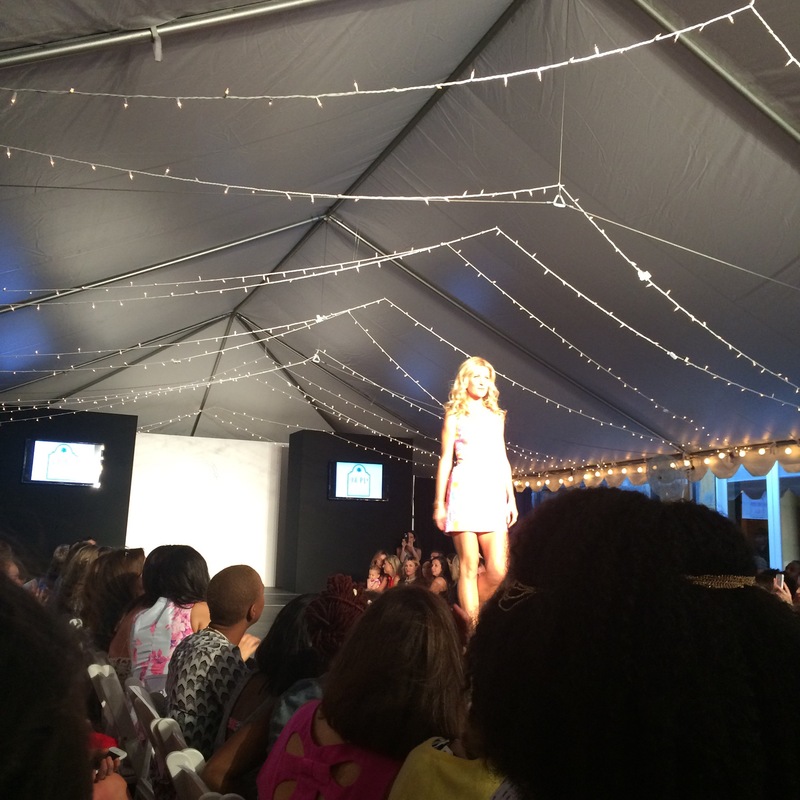 Always a perennial preppy resort-wear staple, Lilly Pulitzer lit up the runway with coastal inspired prints and splashes of color. Available at The Pink Palm. 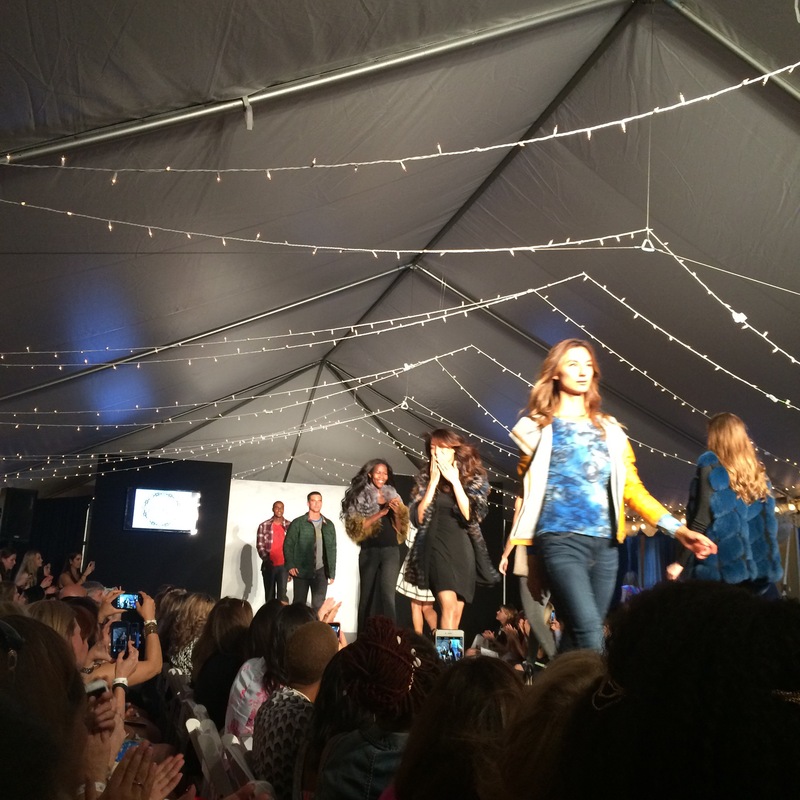 The models take one final trip down the runway in their Fall 2015 Preview looks. I couldn’t be happier that warm weather is here again! 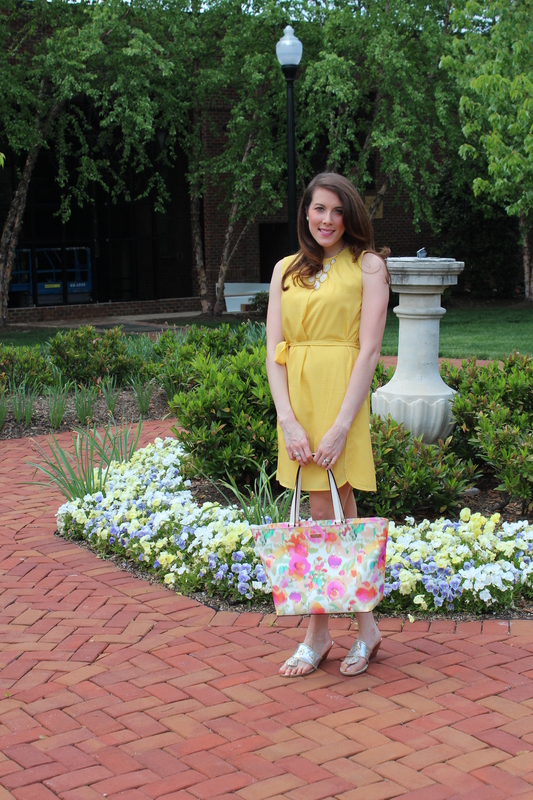 Bright colors and florals are de rigueur. 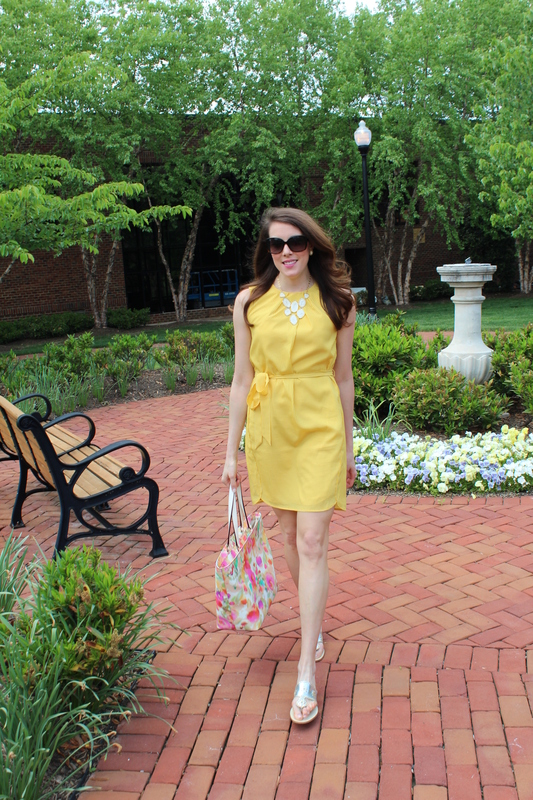 I fully embraced spring from head to toe last weekend while running errands and enjoying the start of outdoor dining season. 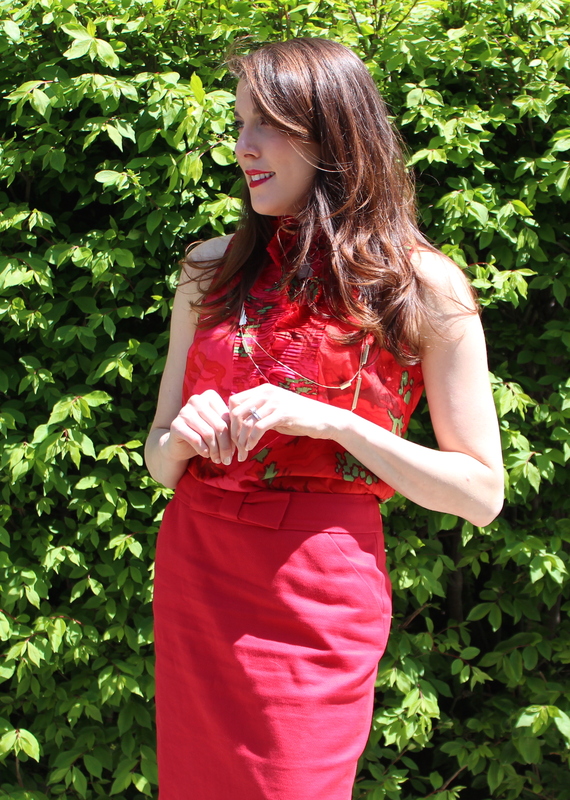 This Ann Taylor dress just begged to be paired with “The Right Bright Lip” (M·A·C Lipstick in “Speed Dial”) trend featured in the Nordstrom Beauty Trend Show last weekend. 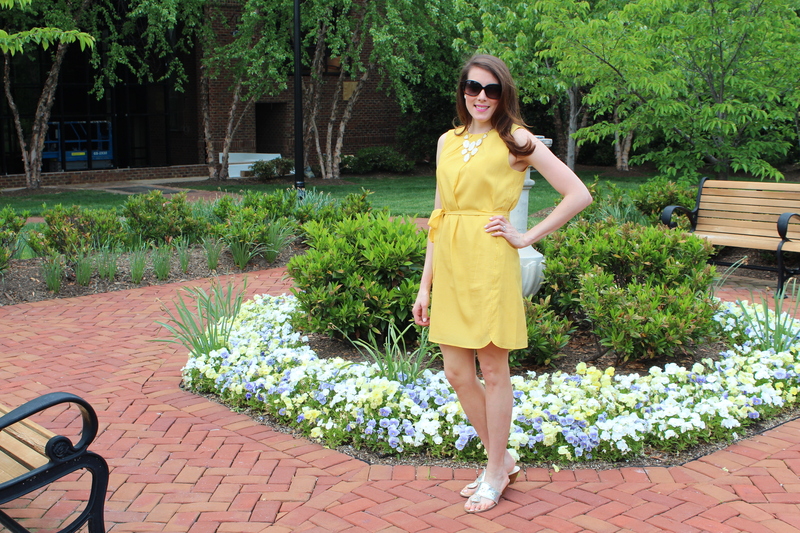 What are your favorite spring fashion trends? 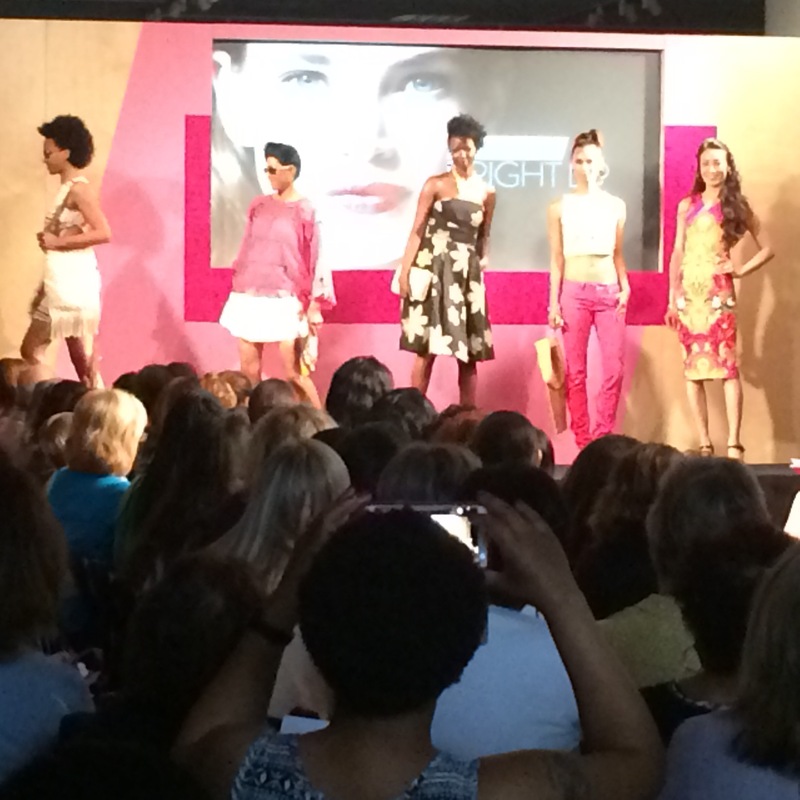 This weekend, I attended the Nordstrom Spring 2015 Beauty Trend Show at the Nordstrom in Tysons Corner Center. After being warmly greeted upon arrival, I was shown upstairs to the breakfast spread and runway where the fashion show was about to take place. 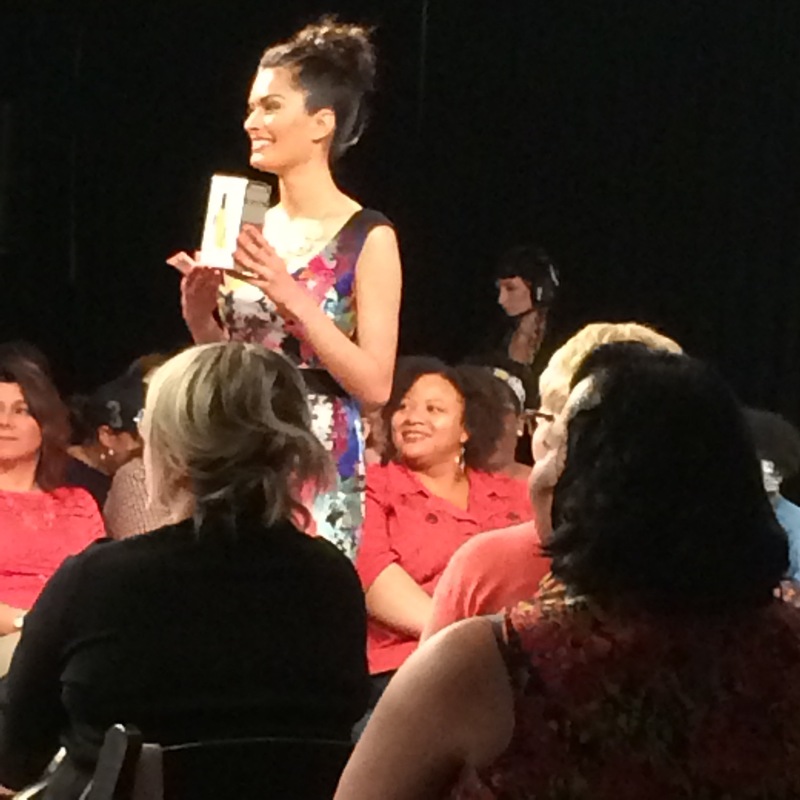 The three “scenes” featured different makeup trends paired with fresh ensembles from the racks. 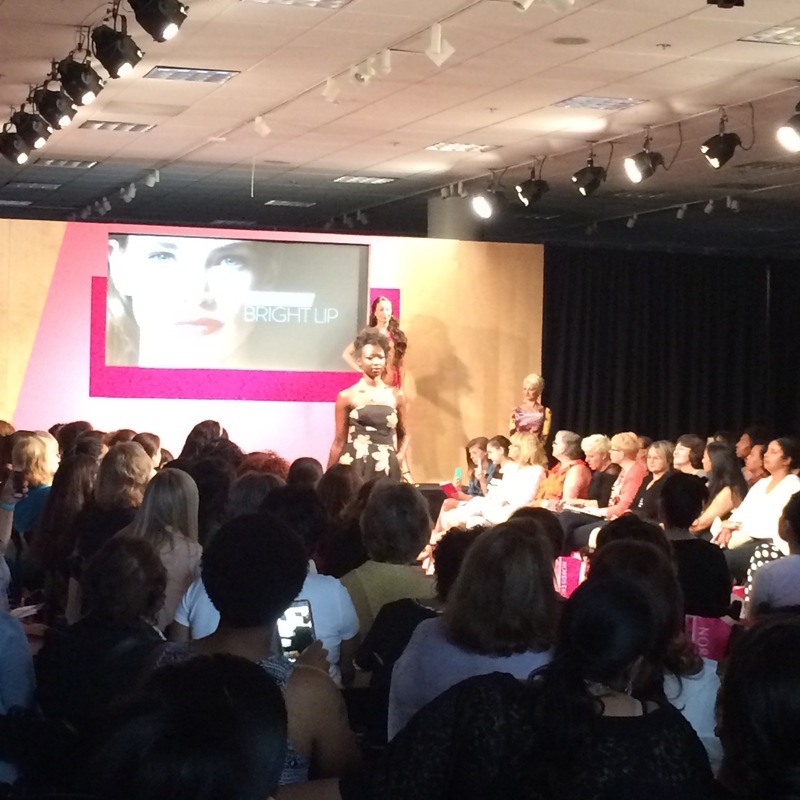 I watched as models floated down the runway showcasing “New Neutrals”, “The Right Bright Lip”, and “Sculpting Made Simple”. 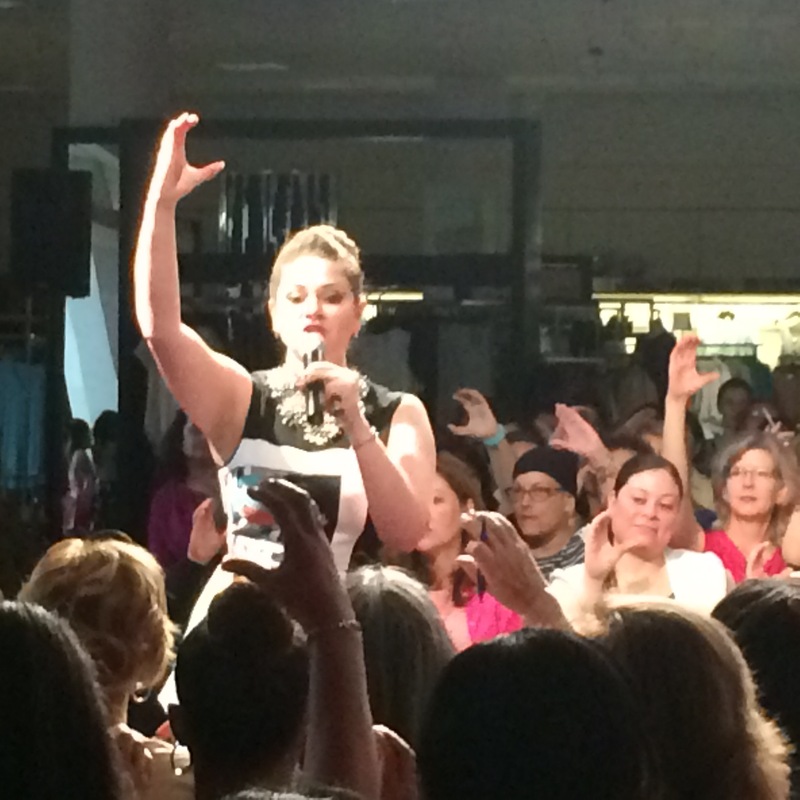 Between scenes the emcee, Loredana Grama, Nordstrom Beauty Director, introduced guest speakers from all of the major brands to showcase new products and share tips and tricks for looking your best this season. One of my favorite looks was featured during “Sculpting Made Simple”. 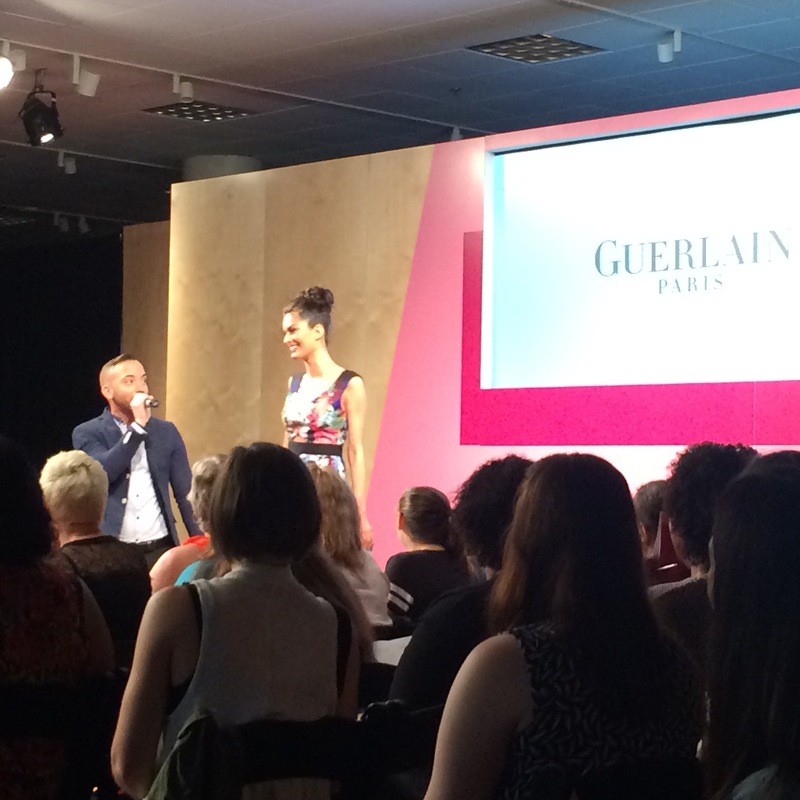 The Guerlain model showed off one of their new products in a blue ombre floral print wrap sheath by Milly. 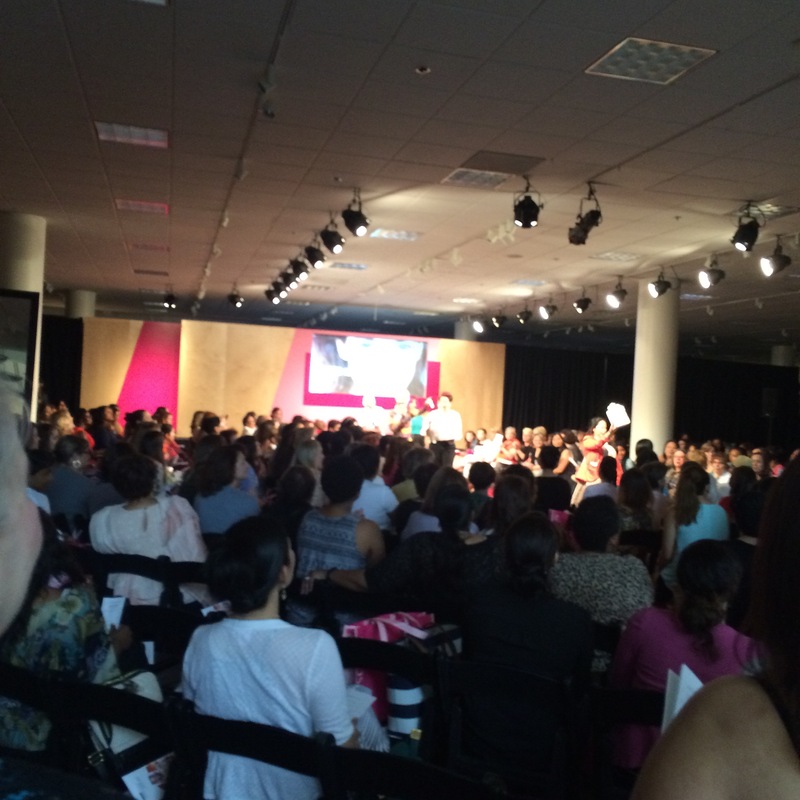 Following the same scene, the Clinique representative showed the audience how to contour using a “C” shape. “The Right Bright Lip” featured luscious lips by Lancome, Dior, Estee Lauder, and Nars. The audience was encouraged to “take your favorite fruit and go with it”. 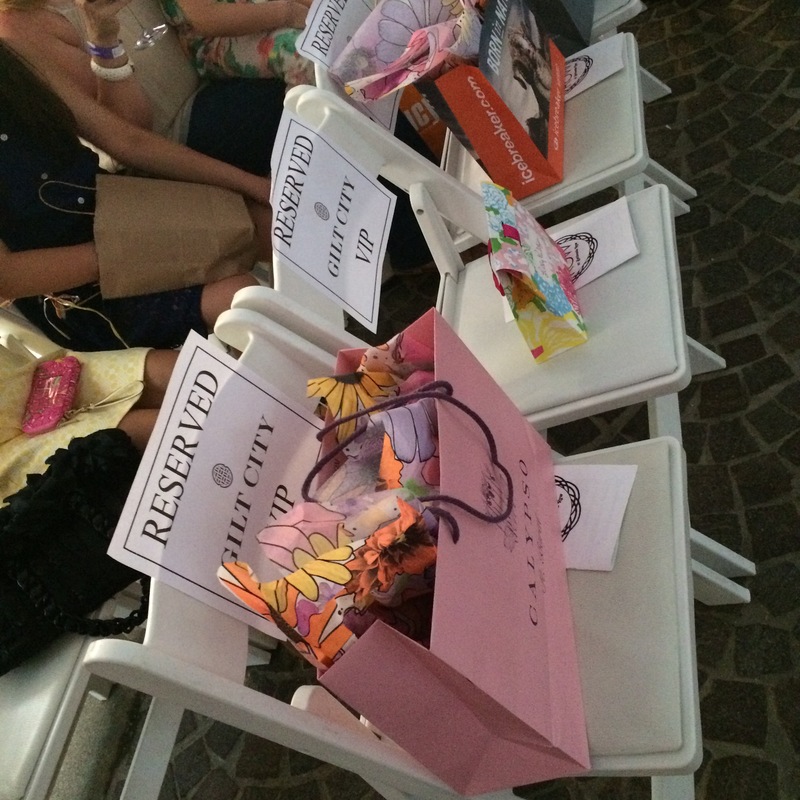 Between scenes, the audience was treated to giveaways from Butter London, Clinique, Tom Ford, and many more! Most importantly, I came home with a swag bag containing samples of some of the latest fragrances and products featured in the show. 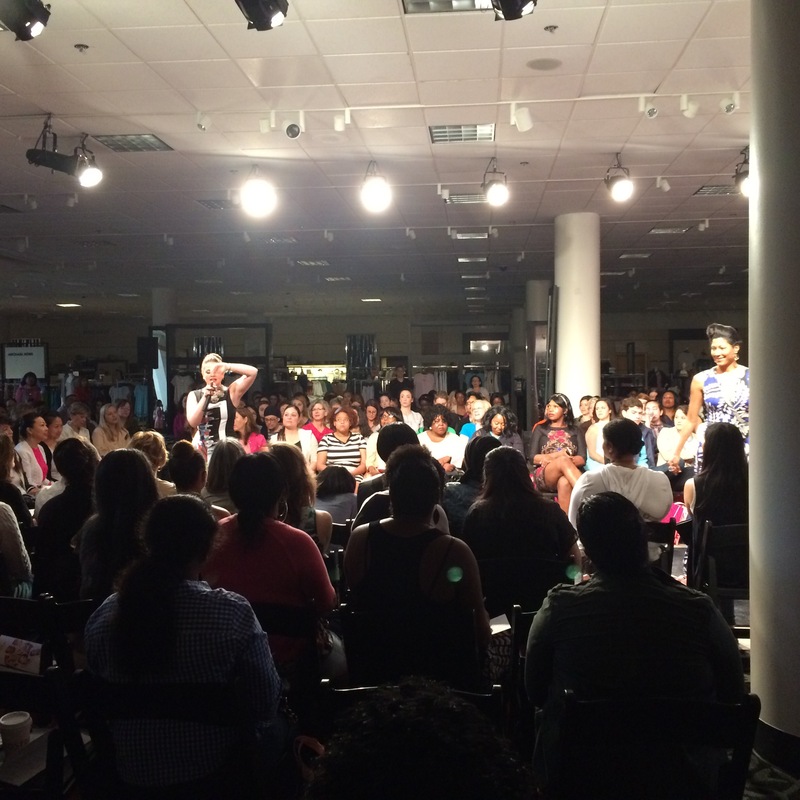 If you’re interested in attending the next Beauty Trend Show at Nordstrom, make sure to drop by one of their beauty counters in early fall to inquire about local dates as the show takes place twice each year. 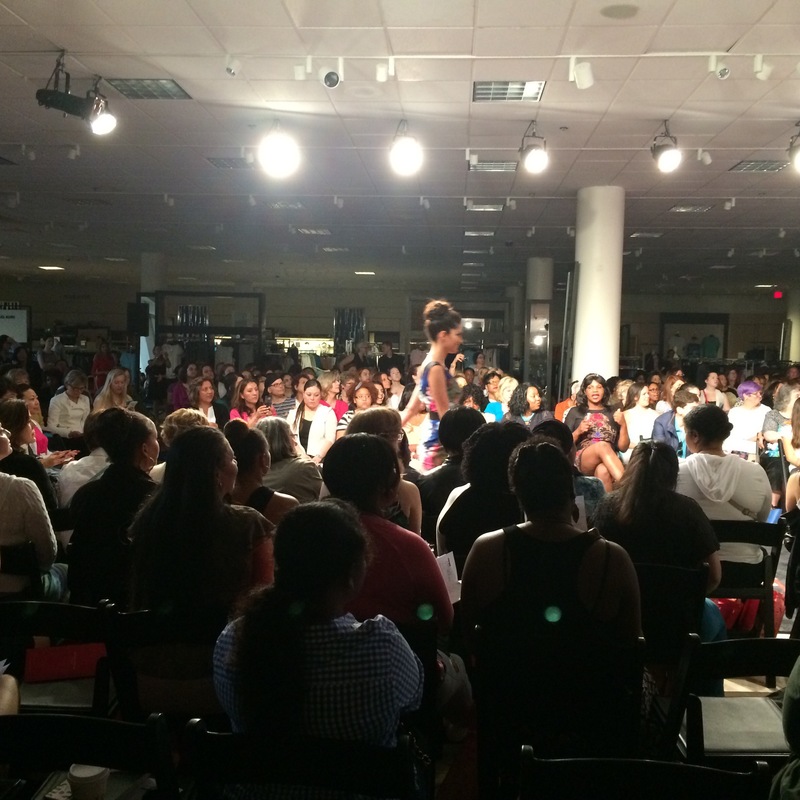 You may purchase a ticket in advance for $20, which includes a $20 Nordstrom gift card. My lesson learned is to get there early – some moms and daughters had been camping out since 5:30am to snag a front row seat! I’ve seen Ann Taylor go through ups and downs over the years as a work wardrobe staple, but am drawn to the pretty pastels and on-trend details of the new spring collection. Laser cut details, lace inlays, and gemstone inspired baubles make these pieces a hit in my book. I’m also always looking for great pieces than can transition from work to play since, if i’m honest with myself, I spend most of my time in work clothes so they are the more worthwhile investment for me. 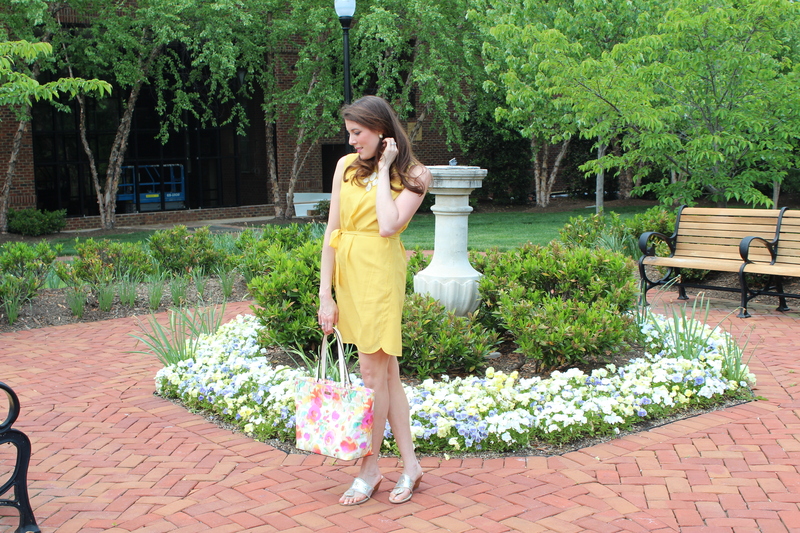 Would you sport any of these chic spring styles? 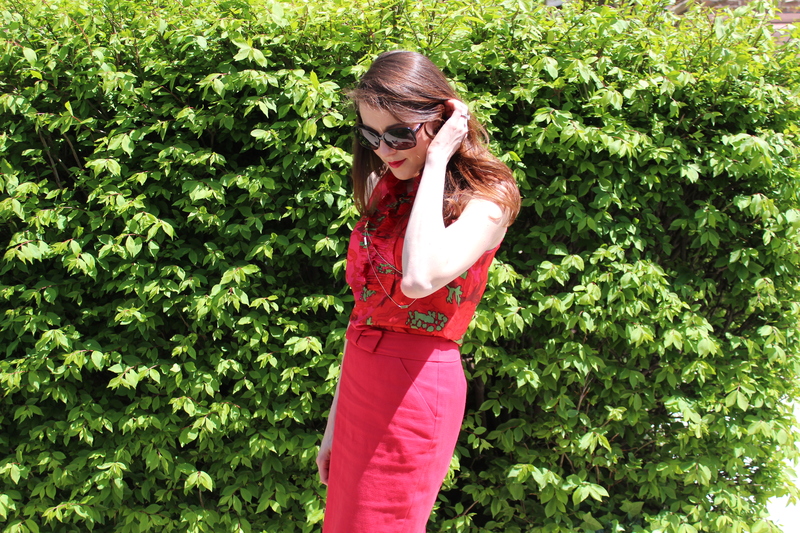 I rarely wear red (since it brings out the naturally red tones in my hair), but thought this red and green look was the perfect nod to Cinco de Mayo. Since the holiday falls on a Tuesday this year, I paired this festive silk blouse with a pencil skirt for my classic office outfit. 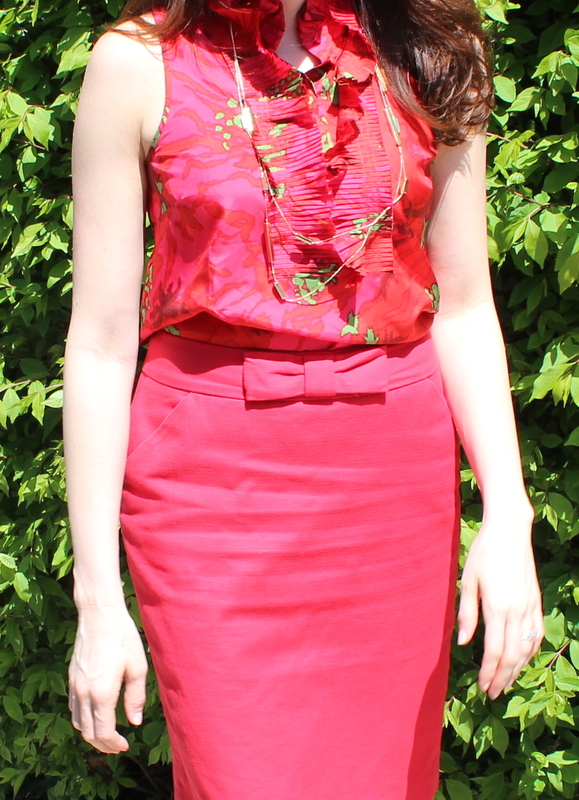 I’ve found that a closet full of silk blouses and pencil skirts makes for an easy mix and match work wardrobe that always looks polished and appropriate. When wearing a sleeveless blouse to the office, I make sure to top it off with a cardigan or blazer. Mexican fare is always popular in my house, so we get excited over any excuse to whip up some guacamole and break out the chips and salsa! Rather than heading out to happy hour, why not throw your own Cinco de Mayo celebration? Personally, I like this Alton Brown guacamole recipe from The Food Network, but doctor it up with a bit of extra tomato. Mix up a pitcher of margaritas, and let the fiesta begin!